If your name be Dragomir, the marketing gods would really have forsaken you if the word 'dragon' didn't show up in your materials. Thankfully Dr. Colich's first name is Dragoslav so we do get some fire-breathing toys to play with here. Chief technology officer for planarmagnetic headphone house Audeze, he has four decades of R&D into planarmagnetic physics, material science and industrial design under his scaly belt. 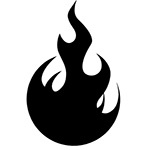 With Dragonfire Acoustics, he now capitalizes on his know-how to launch his own enterprise, a take-no-prisoners desktop monitor system that involves planar satellites aka baby dragons. "The Dragonfire Acoustics Mini Dragon satellite speakers are housed in attractive 6×12" aluminum frames with 5×10" planar membranes. All of Dr. Colich's planar designs feature extremely low-mass diaphragms suspended between powerful magnetic arrays. The diaphragms here are a mere 4 microns thick and fluxor magnetic arrays create up to a muscular 1.8 Tesla of field strength to control them. These special transducers with patented Uniforce diaphragm traces offer exciting engaging sound that pulls you in with incredibly fast transient response for airy wide soundstages and palpable imaging. 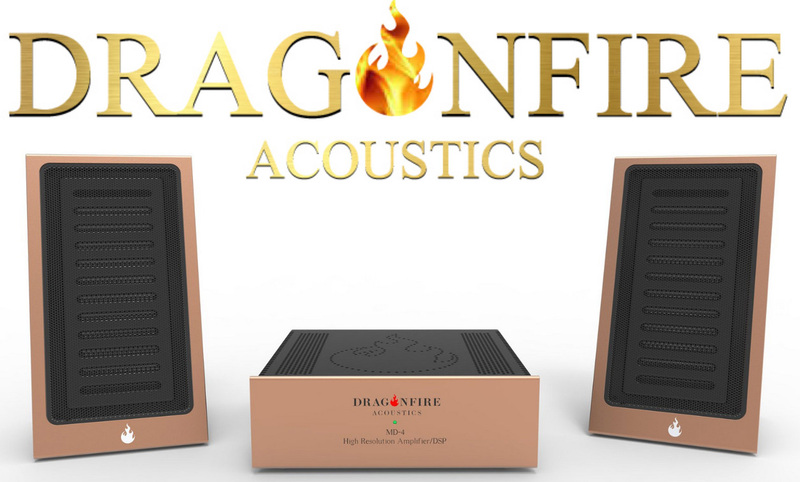 "Along with the planar satellites, each Dragonfire Acoustics Mini Dragon DFA 2.1 system comes with a dedicated Dragonfire MD-4 amplifier/DAC, the SB-8P subwoofer with 8" woofer and matching passive radiator, all necessary cables, a digital preamp/streamer with Dirac room correction plus a calibrated USB microphone with remote control. Components can be purchased individually. Each system is handmade in California and offers a 30-day money-back guarantee. MSRP is $10'000 for the complete system. 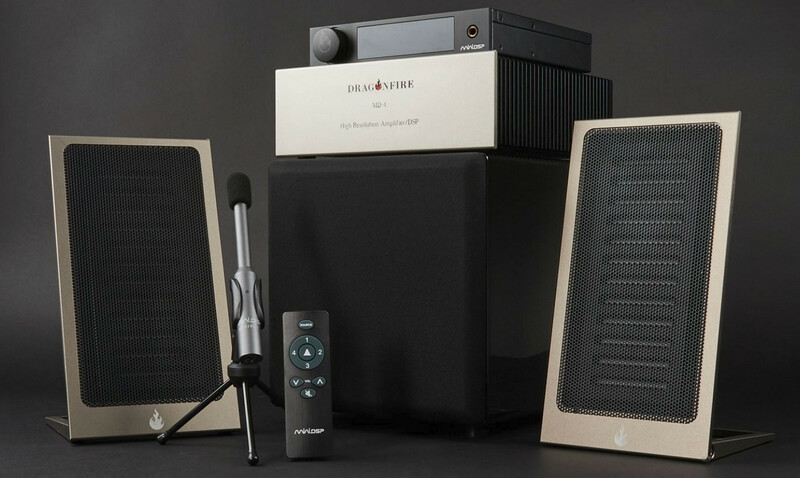 Pre-orders for a complete system are offered at a special introductory price of $7,500."